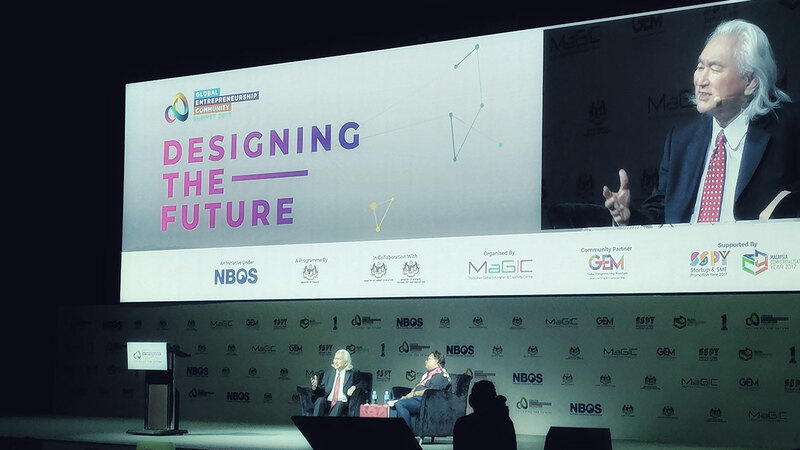 At this year’s Global Entrepreneurship Community (GEC) Summit, Dr. Michio Kaku—world-renown theoretical physicist and futurist—was on hand to deliver a brief but insightful talk on future technologies and their potential impact on the way we conduct our business. With a Ph.D. from UC Berkeley and an impressive list of published papers and books under his belt, Dr. Michio Kaku wowed the audience with his extensive knowledge and expertise on emerging tech and their real-world applications. Most of us will have experienced 3D in some capacity, be it through movies, video games, or other forms of entertainment. It all plays out simply enough: put on a pair of specially designed glasses, get in front of the screen, and enjoy the moving images as they get too close for comfort. One problem though—3D glasses. They’re often uncomfortable, inconvenient and sometimes, expensive. And thus 3D was confined to the cinema and specially-purposed screens. But now consider the possibility of 3D without the glasses going mainstream. While we can’t fully explain the science behind it all, we can safely tell you that there have been advancements in the creation of glasses-free 3D screens, such as here and here. Of course, there’s also the Nintendo 3DS, that can display stereoscopic 3D effects without glasses. Imagine a world where 3D images and videos have escaped the confines of the screen and are now interactive, surrounding the user with a visual experience that he/she can manipulate. The applications for such a technology would be endless—the fields of medicine, architecture, and engineering would all benefit, and would make problem-solving such a breeze. We’ve seen this before in movies, and we could very well see it in real life. For centuries, the use of paper was the standard by which all civilisations were measured. It was the information medium of choice, and was the best mode of distant communication. That is, until screens and the internet popped along to say hi. Today, paper is seeing its usefulness diminish at an astonishing rate. There’s also that whole “going-green” thing, too. But what if in the future we’d all go back to using paper? 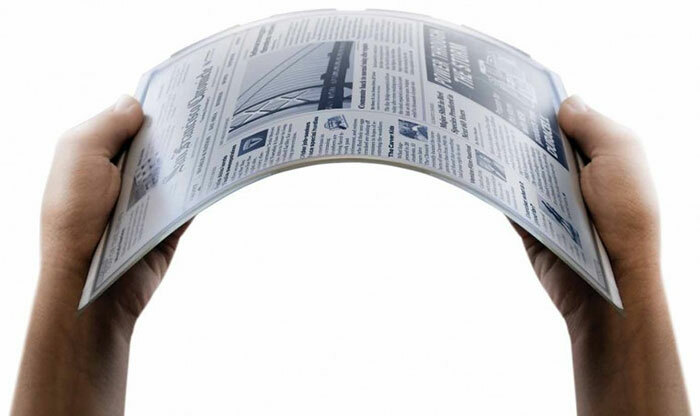 The big leaps mankind has made in technology over the years could now lead us to the creation of intelligent paper: a type of display with a paper-like feel that can be handled just like regular paper (think of the magic newspapers from Harry Potter). Such a material could even be more useful when paired with connective capabilities; phones as slim as calling cards, portable foldable TVs, books with self-updating content. Check out this article to get a better picture of what could be. While the practicality of some of these uses may prove questionable, there have already been strides to make such a technology more readily accessible to the public. Imagine a wallpaper being able to change its pattern and colours to suit the fancy of the homeowner, with the capability to download designs off the internet as and when desired. Oh, and how about using it to watch TV? Couple such a wallpaper with capacitive touch features and you might even be able to create your own displayable art or graffiti designs, or even make phone calls by dialling numbers right off the wall. 3D printing has seen a major spike in popularity thanks to concerted efforts to make the technology more attainable and easily understood. To date, we have seen resins, polymers, metals, and other materials fashioned into firearms, prosthetic limbs, complex precision tools, and even giant bricks used in the construction of buildings. To put it simply, there is almost nothing that we cannot create. The ability to design and print nearly anything we want has giant implications for the way retail will be carried out in the future; there will be nothing that we can’t buy and more than enough options to choose from. Homes with ergonomic furniture customised to suit the needs of its occupants will be a reality, as will the ability to shop without the fear of not having the right size or colour in stock. 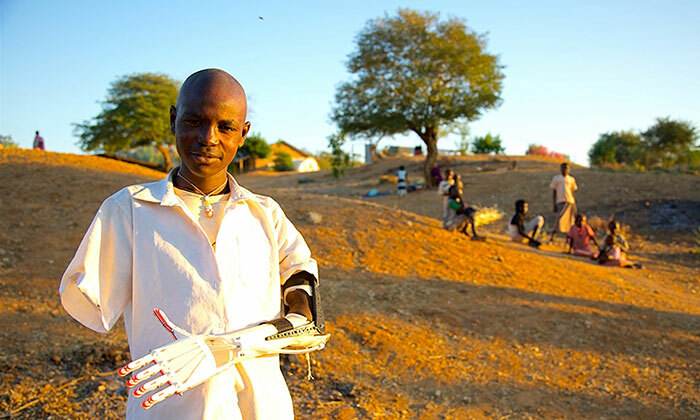 In the medical field, customised prosthetics will always fit the wearer and surgical procedures will be made easier than ever before. The autonomous car—with the ability to direct, drive and park itself—is already yesterday’s headline. With the constant chatter of self-driving vehicles being adopted en masse by companies such as Uber, along with concerted efforts by companies like Tesla and Google to bring them to market, this is one future technology that we can experience today. Yes, access to one of these cars is still limited to those with heftier wallets, but so rapidly emerging is the technology behind these cars that it’ll only be a matter of time before we’re all heavily dependent on our self-driving Myvis to bring us through traffic each morning. But aside from merely being fully in control of driving and parking, what else can we expect from these machines? Intelligence. After a hard day’s work, you walk out to the parking lot and tap a button on your digital wristwatch. Beep. Within five minutes, your self-driving Perodua turns the corner and stops right where you are. You get in. During the ride home, the A.I. figures that you’re spent from writing reports all day and proceeds to turn down the temperature and turn up your favourite chill-out playlist. “Would you fancy an ice-cream?” it asks. You nod in response, and within minutes of a short detour you pull up outside the nearest Inside Scoop, happy to grab a double-serving of cempedak before realising how your car cared enough to take you out for dessert, and is now about to send you safely home. The future is an exciting place where nothing conceived is out of reach. While most of these technologies may seem far-fetched and outlandish, the fact remains that no matter what we think, they’re coming; and we’d best be prepared for them. After all, everybody said we’d never fly, that computers were impractical, and that the internet would never be a real thing. And yet here you are, reading this on the internet.